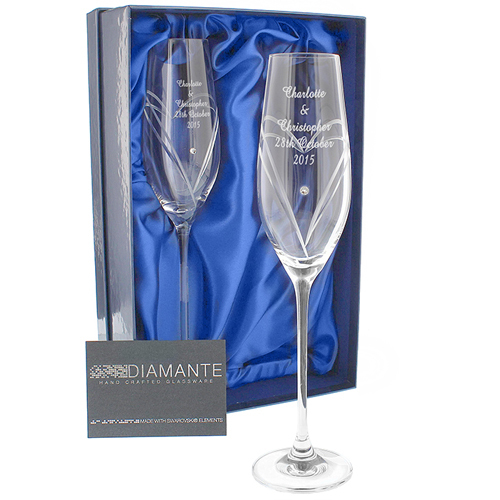 Personalise this set of Hand Cut Heart Flutes with Swarovski Elements, with the same message on each one over 5 lines, 17 characters max on the first 4 lines and 4 characters on the 5th line. Each glass is hand cut, hand polished and embellished with Swarovski Elements. They will come beautifully presented in a silk lined box. Personalise with the same message on each one over 5 lines, 17 characters max on the first 4 lines and 4 characters on the 5th line.